You never know when emergency will strike. 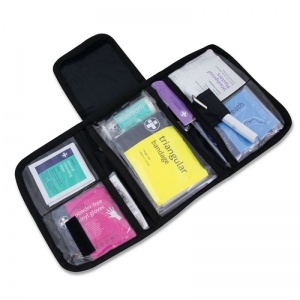 The Fast Response One Person First Aid Kit in Black Wallet is the perfect companion for the trained first aider who is always on the move. When someone has taken a fall or has been injured, you don't always have the luxury of time to go and find the suitable first aid provisions. This kit allows you to respond at any moment, buying you the precious minutes you need to attend to an emergency. What Can You Expect From the One Person Kit? 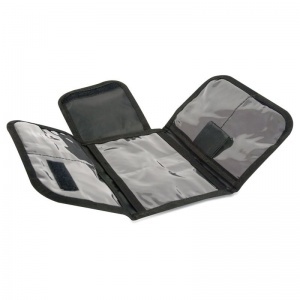 This kit is held in a small black wallet with a belt loop for easy attachment. It's so lightweight and discreet, you may even forget it's there! 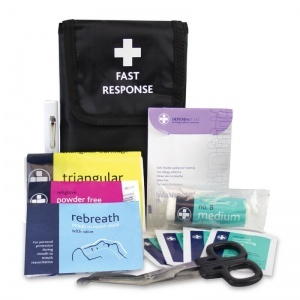 Perfect for first aiders who are normally on the move around a warehouse or shop floor. All materials have been picked out by professionals as the best first response tools to use in an accident. It provides everything you need just when you need it most, so that you are able to immediately stop what you are doing and attend to the injured party. 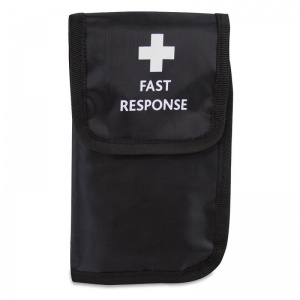 The Fast Response One Person First Aid Kit in Black Wallet is usually dispatched via First Class Royal Mail and delivery should be within 1 to 3 working days.